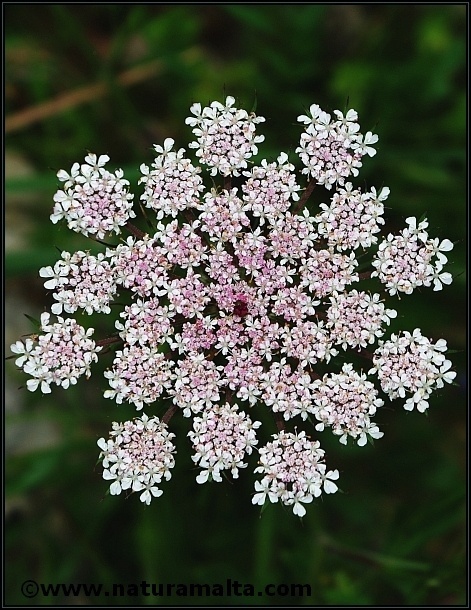 Daucus carota is a biennial plant with a typical umbel (flowers). It flowers in late spring to summer and the flowers are white. It is related to the cultivated carrot as the latter are cultivars of the wild plant. 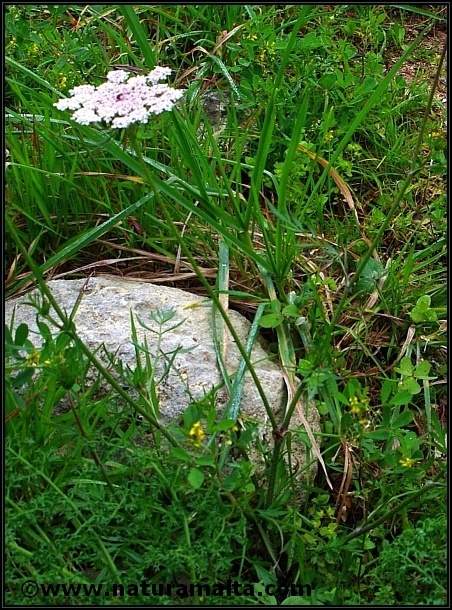 It is reported that the Maltese Daucus carota is a species complex and further studies are required to clarify this taxon.